One of the most well known brands when it comes to things like playhouses, summerhouses and even sheds, is Shire. Today we are putting on our reviewing hat as we put Shire through their paces in this Shire review. We are going to look at what kind of products Shire offer and also just how good the quality is of these products. Hey, we all want to save a few pounds here and there, so we are also going to have a close look at the prices Shire products are being sold for. Being in business since 1981, Shire have certainly proven that they have some real staying power. While the official Shire site mainly showcases their playhouses and log cabins, they do actually offer far more than this. 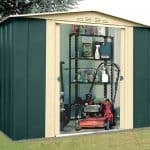 They have really expanded into one of the largest brands in garden buildings and they are a brand that can be found on many garden retailer sites. 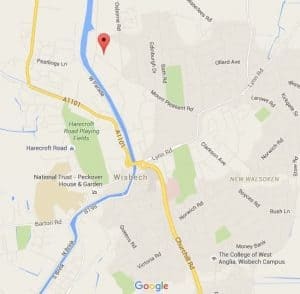 Shire: What Kind Of Products Are In The Shire Range? Okay, so you might want to go grab a cup of coffee or maybe something a little stronger, as we are going to be here a while. We do not mean this as a negative, but Shire really do have one of the most diverse ranges of products of any brand we have seen. They have a decent selection of sheds, but while they do have sheds big and small, Shire are a company that seem to really focus on the more mid sized shed. 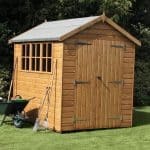 Sizes like 8 X 7, 7 X 7 and 6 X 4 make up most of their product range, but these are good sized sheds that are ideal for most families or people looking to keep their tools and gardening items safe and organised. One thing we want to take time to mention is their playhouses. Shire have some incredible looking playhouses that your kids or grandkids will just love. They have them in all kinds of sizes too, with smaller playhouses that can fit in a couple of small children, to playhouses that have two levels and will put your own house to shame. 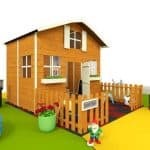 Shire are one of the top playhouse brands we have come across, so be sure to see what they have to offer if it is a playhouse you are looking for. 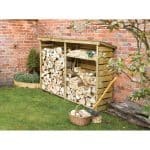 Shire offer more products like bike stores and even decking, but they do also have a fantastic range of log cabins and summerhouses. One thing in particular that we love about their range of summerhouses, is how they do not just make summerhouses for people who have large gardens. They do also have more compact summerhouses that are 8 X 8 or even smaller, and these would be ideal for those of you who want a little space to relax in your garden, but do not have a huge garden. They also have some much larger and quite spectacular log cabins that would great as a man cave, home gym or just a place to stick the in laws when they come to visit at Christmas. Shire: How Is The Quality? When you look for Shire reviews online, you get a real mix of good and bad reviews. 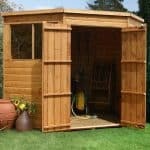 Most of the bad reviews do tend to be about their lower priced products and while we are certainly not ignoring this, we must say that despite the odd bad eggs for the most part, Shire are a brand who try to make their sheds, summerhouses, playhouses or whatever else it is they are selling as high quality as they can be at their particular price point. Sometimes their lower cost items will have lesser quality materials, but that is to be expected to be fair. We feel that as the price goes up, as does the quality of materials, which again is to be expected. Shire is one of those companies where most of the time it is a case of you get what you pay for. We really like how they have a great selection of higher end products as part of their range and we know these will not be for everyone, but we are still pleased they offer these more high end structures as well. Their log cabins in particular really are quite impressive and the quality of them really is very high. Shire offer both overlap and shiplap style cladding on most of the products in their range and we really like this. 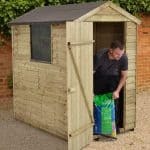 In all, we must say that we are quite impressed when it comes to the overall quality of Shire products – just be sure to know that their just over £100 sheds will not be as high quality as one of their sheds that costs £500. Shire: How Are The Products Priced? Shire offer an incredible amount of products, we have already established that. We have also looked at how their products are made with different materials so there is a difference with quality as well. When it comes to prices, Shire offer things at all ends of the pricing spectrum, so they really are a brand that can be enjoyed by everyone. When it comes to lower cost products, Shire have absolutely nailed it. They offer not just sheds at low prices, but the other structures they sell as well. For example, they have a great range of lower cost, but still good quality, playhouses that can be purchased for around £150, which is a very fair price in our opinion. Shire even offer summerhouses at a price that just seems impossible, but they do have a selection that come in at under £500. Without a doubt, if you are on a tight budget or just do not want to spend a whole lot of money, Shire are a brand you have to look at. We have talked about their low end items, but now we are going to turn our attention to the more high end products from Shire. As well as offering lower cost more basic sheds, Shire have some amazing sheds that have such impressive features as tongue and groove shiplap cladding and a very high quality floor and roof. While we think their lower cost more affordable summerhouses are great, for those who want to splash out a little more money or who may want to save up a little longer, they have some larger and far more impressive looking summerhouses. At the high end of the Shire pricing spectrum are their log cabins. They have log cabins that cost over £1000, but when you see one of these it is near impossible not to fall in love and start thinking about selling one of the kids on eBay. While their higher quality products do have a much higher quality build, we must say that we feel the prices are still very reasonable. 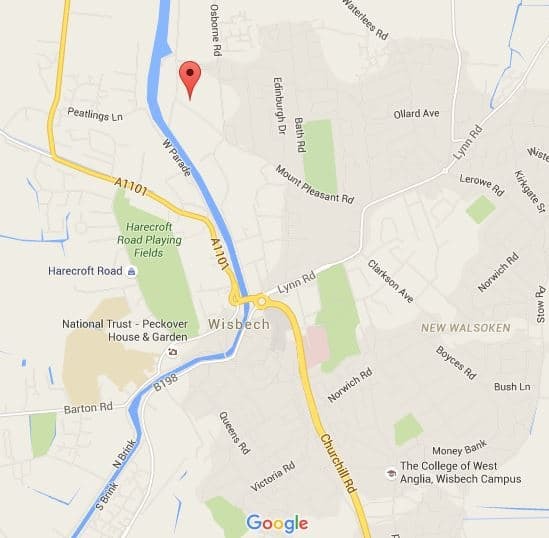 Shire: How Customisable Are Shire Products? As Shire products are made from wood and most of them will require some form of wood treatment, they are actually very easy to customise. You can give them a lick of wood treatment in any colour you want, or if you can come to some kind of agreement with the other half. You could maybe paint it in the colour of your favourite football team, but we have a hard time seeing that actually happen. When it comes to extras, many sites that sell Shire products do offer a number of extras ranging from more expensive things like higher quality flooring to something basic, but important, like a hasp and staple lock. We feel that Shire products are very easy to customise, so if you do have a little artistic flair then you can show it off a little with a Shire shed, summerhouse or one of their other products. The amount of different products that Shire offer is just incredible and it would take quite a while and a lot of cups of coffee to look at them all. We are sure no matter what kind of structure it is you want for your garden, Shire will most likely have one. While some people have questioned the quality of their lower priced items, we have found for the most part Shire make their products very well. So no matter if you are on a budget and want to get as much for your money as possible, or if you want something a little more impressive and fancy, Shire are a brand that will have something that at the very least will capture your attention.